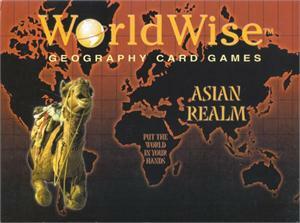 Learn the geography of Asia--and make it fun! Each country and body of water has a card; players must use a card that's geographic location shares a boundary with the card last played...but be careful--if another player thinks you're incorrect, they can challenge you, and whoever loses has to draw two more cards. When no one can put down a card, the player with the fewest amount of cards wins! 2-8 players. Ages 9 & up.